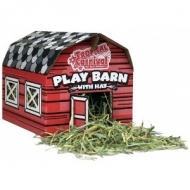 Brown’s® Tropical Carnival® Play Barn with Hay is a fun place for rabbits, guinea pigs, chinchillas, hamsters, gerbils and other small animals to nest, play, eat and sleep. Made with organic hay, fruits and vegetables, Organic Barley Biscuits closely mimics the selections your pet would find in nature. 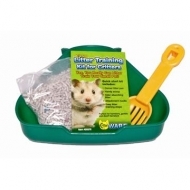 Nibble Rings are a delicious crunchy treat suitable for pet rabbits, guinea pigs, hamsters and other small animals. 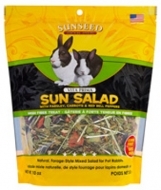 Made with natural grains and alfalfa, Nibble Rings are a healthy way to treat your pet. Salt Savors are tasty, convenient, and economical source of nutritious minerals. 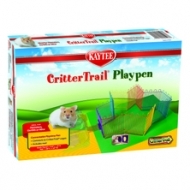 The perfect chew designed specifically for your pet hamster! 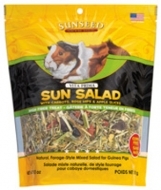 The combination of crunchy textures helps clean and trim teeth while satifying the small animal instinct to chew and gnaw. 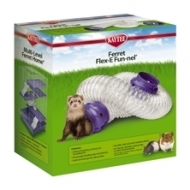 Hangs anywhere in your pet's cage! 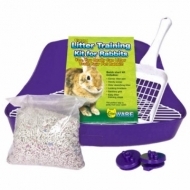 Provide your pet with hours of fun activity! 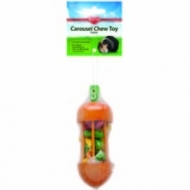 Carousel Chew toys help reduce boredom with their unique combination of wood and loofah pieces. The fun carrot-shaped wood helps to keep teeth trim and clean while the loofah pieces clean and floss. Watch your pet toss and chew the day away!